The NX-901 has a neat feature that other 900MHz Kenwood series radios do not; a date and time feature. The date and time feature is there to show the current time and also time stamp events such as calls received, VGS-1 voice memo recordings, etc... The date and time are stored in SRAM (static memory) and backed up by a lithium battery. The tuning data/programming/firmware in the radio is stored in flash memory which does NOT require a memory backup battery (its non-volatile). If the date and time is not being stored when your NX-901 is removed from its power source (i.e. disconnected from automobile battery/DC power supply) then its time to renew the lithium memory backup battery. The 3.3V, ML-614, lithium memory backup battery for date and time retention can be ordered from Pacific Coast Parts or East Coast Transistor. The lithium memory backup battery part number is W09-0971-05 and the cost is $5.17. The NX-901 has a rather novel feature in that you can configure in the KPG-111D or KPG-111DN software for your NX-901 to display a startup bitmap image of your choosing! This feature can be programmed into the radio by going to the "Edit" menu and then selecting "Optional Features" and then "Optional Features 1", once there click on the "Common Page 2" tab. Go to the "Power-on" section and click on the checkbox "Custon Start-up Screen". Once there you can select a bitmap image of your choosing and load that into the radio as your startup image. There is a default image already in the software that you can select that will display "NEXEDGE" on startup. If you copy this image, you can erase the "NEXEDGE" and make your own bitmaps! These bitmaps must be on a template that is 132 pixels wide by 24 pixels in height, with a bit depth of 1. Provided below for download are a few bitmaps I made, along with a blank template so that you can make your own. 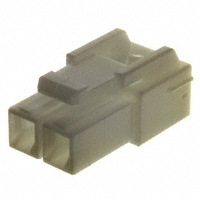 The power connector on the NX-901 are made by JST and available from Digi-Key. If you want to make your own power cord to plug into the NX-901 then you can order the connector and pins from Digi-Key. 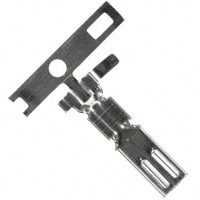 The connector that will plug into the back of your NX-901 is Digi-Key part number 455-2374-ND and the pin that fits the power cord plug is Digi-Key part number: 455-2376-1-ND.